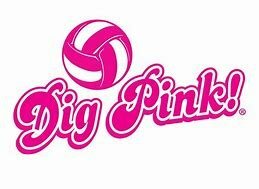 Just about all the volleyball teams in Suffolk county do a “Dig Pink” event to raise awareness for breast cancer. At Babylon, there are 20 girls on both Varsity and JV participating in the event. We have baked goods and suggested donations to attend the game. The girls create posters, T-shirt’s, baked goods and supply balloons to make it a really great event. The girls probably put 10 hours in between baking, making posters, and participating in the game.